Grande Wednesdays is back at Starbucks!!! P100 for your featured Starbucks Grande Frappuccino! It's summer once more and we are definitely feeling the heat! 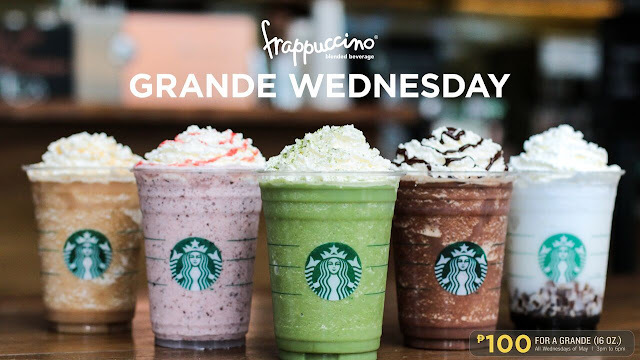 With that Starbucks brings back their P100 Grande Frappuccinos all Wednesdays of May! So Mark your calendars and fall in line to enjoy these flavorful Starbucks handcrafted beverages to cool you off this summer! 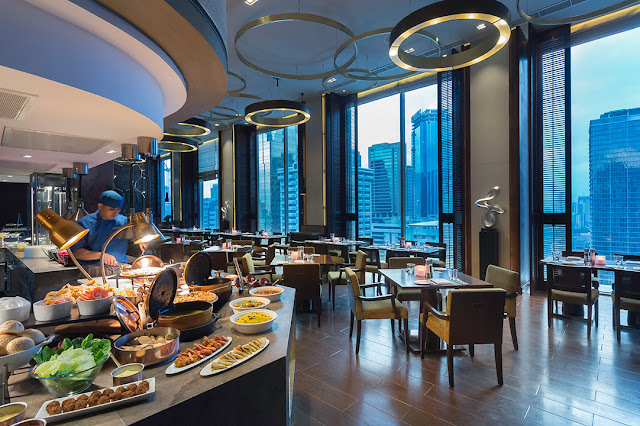 While Filipino diners are being exposed to an array and fusion of internationally-inspired flavors and textures (not to mention the global chains! ), there is no denying that there is nothing more comforting than the aroma and taste of our own cuisine. Inspired from and reflective of our diverse cultures and rich heritage, Filipino dishes are created from a medley of spices and ingredients, and can make for some of the most exciting dishes, both at home and abroad. Filipino food doesn’t always have to mean pork sinigang, chicken adobo, or beef kare kare. With some of the most talented chefs at the forefront of championing modern takes on Filipino dishes, culinary triumphs take the form of bold remakes of our classic favorites. If you haven’t tried octopus sisig, sisig pasta, or grilled sinigang yet, then you have definitely been missing out! 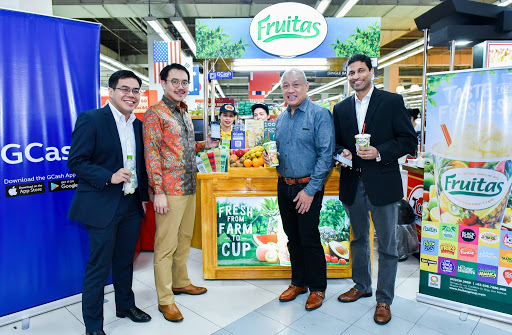 These are just three of the nine innovative Filipino food discoveries that made it to the finals of the first-ever Funlasang Pinoy held last year. Your home is more than just four walls and a roof—it is a living space, a sanctuary for resting and restoring the mind, a place for peace with your loved ones. But sometimes modern life has other ideas, filling up our precious time with endless chores. In between making sure our rooms are dust-free, seeing to it that the fridge is well-stocked with fresh produce, and trying to cook healthy food for our families to consume, most of us don’t really get to enjoy home as a space for optimal rest and relaxation. 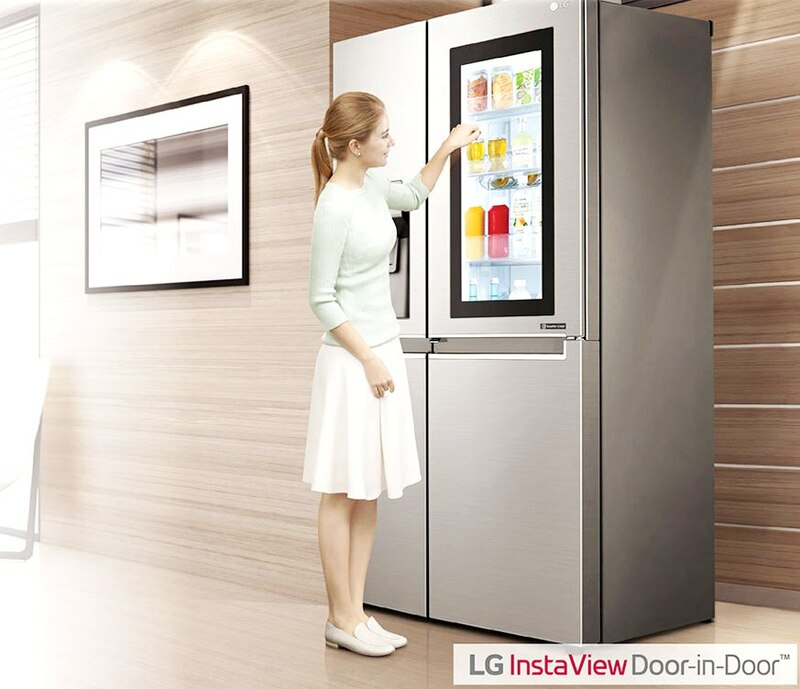 Good thing, innovative technology is slowly beginning to invade every corner of our residences, providing time-saving, user-friendly devices that are meeting the needs of consumers rather than simply serving as the latest techie gadgets. Home appliances are constantly evolving into nifty, consumer-centric machines that make our lives easier—and our homes considerably cleaner. From vacuuming to clearing the air of pollutants to helping you cook in the most efficient way, these intelligent gadgets allow you to automate time-consuming actions, freeing up time so you can do the things you really enjoy. Exclusively offered for one day only, enjoy your favorite Tokyo Tokyo side dishes at very special discounted rates! For 33 years, fast casual restaurant Tokyo Tokyo has been bringing the taste of Japan closer to many Filipinos. It has been the go-to restaurant for most people to get their satisfying Japanese cravings. So this year, Tokyo Tokyo is offering very special deals for one day only in celebration of this milestone! 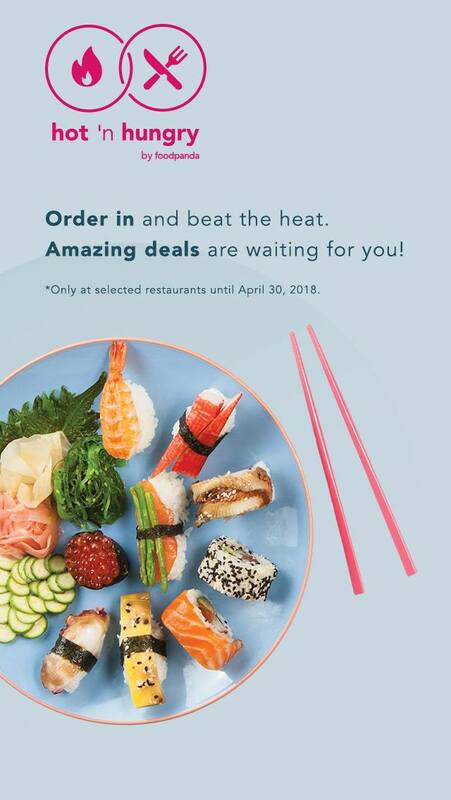 Celebrate with Tokyo Tokyo on April 23, Monday, by feasting on your favorite add-ons at only P33.00 each. With savings up to 45%, enjoy the Yakisoba Snack Bowl, Potato Balls and Fried Gyoza all at discounted prices. 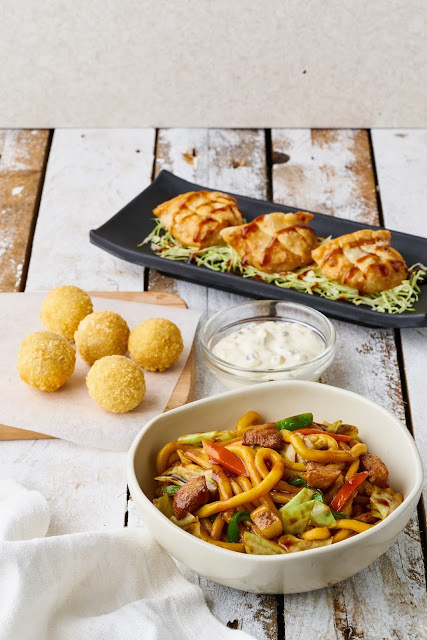 foodpanda launches "Hot ‘n Hungry: the biggest discounts on food you love this summer"
foodpanda, the on-demand food delivery service, has announced the launch of the biggest food sale event this summer, Hot ‘N Hungry. The campaign goes live on 1st April 2018 and ends 30th April 2018. Hot ‘n Hungry is the perfect way to satisfy cravings in this intense heat. Available to Manila and Metro Cebu restaurants on the foodpanda platform, all customers can enjoy massive discounts on a wide range of international cuisine restaurants, be it American (Pancake House, S&R New York Style Pizza, Chili’s) or Italian (Amicii), or Japanese (Nanbantei, Omakase), or the well-loved Filipino dishes (Dencio’s) and Cebuanos (Bollywood Tandoor) . Spicy food lovers, rejoice! McDonald’s launched a fiery new addition to their menu - the all new Spicy Chicken McDo, an exciting take on its Best Tasting Chicken McDo that will leave you asking for more. Because it’s marinated and breaded in a blend of spices, each bite of the Spicy Chicken McDo’s juicy meat and crispy skin has a burst of heat and flavor both inside and out! 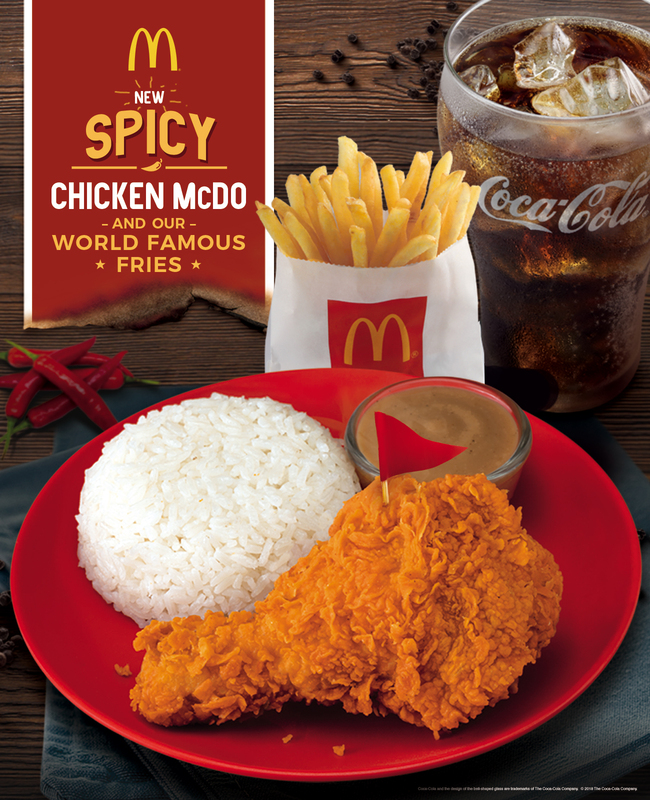 The Spicy Chicken McDo is best enjoyed with McDonald’s World Famous Fries, a bold new pairing sure to satisfy your cravings for all things crispy, hot, and spicy. Seattle’s Best Coffee is starting 2018 strong by acknowledging the hard work of the local farmers in Sagada, Benguet, and Matumtum. 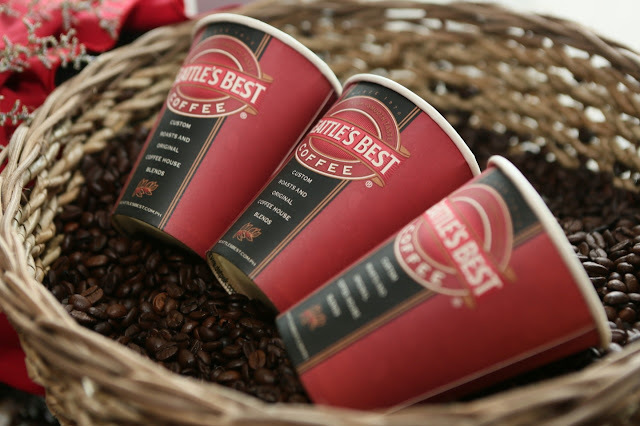 The carefully handpicked and responsibly-sourced local beans from these highlands are what gives the coffee its light, sweet, nutty coffee flavor. SBC is offering their Café Comunidad Local coffee + Pastry pairings where guests can enjoy local versions of their classic blends together with any of the three pastries: Yema cake, Ensaymada, and Pandesal for just an additional P50 to their drink. P200 for a Big Mouth Burger at Chili's Burger Day!!!! 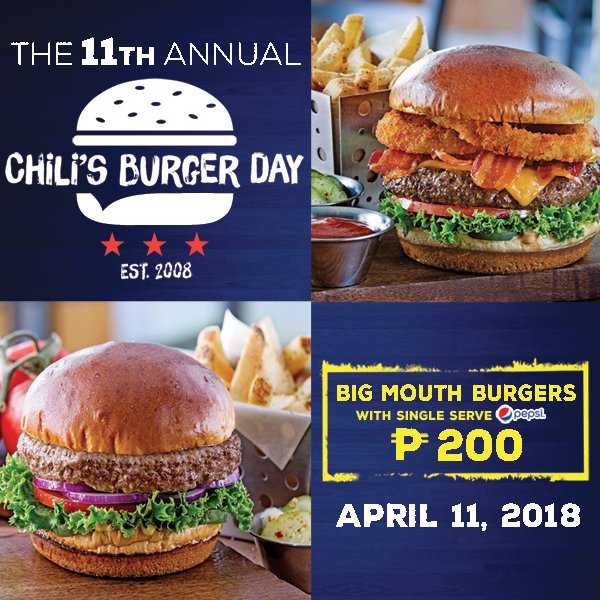 Chili's Burger Day is back now on it's 11th year, this annual celebration of Chili's Big Mouth Burgers is one for the books... a legendary promo, loved by fans and flocked by legions of burger lovers. This year's Chili's Burger Day is happening on April 11, 2018. Grab a Big Mouth Burger for only P200 and they'll even throw in a glass of Pepsi all-in and only for... you know it P200! 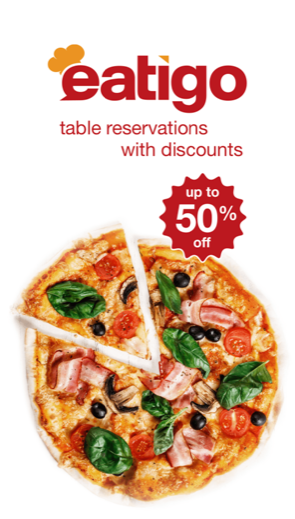 Now that's an offer you just can't ignore! 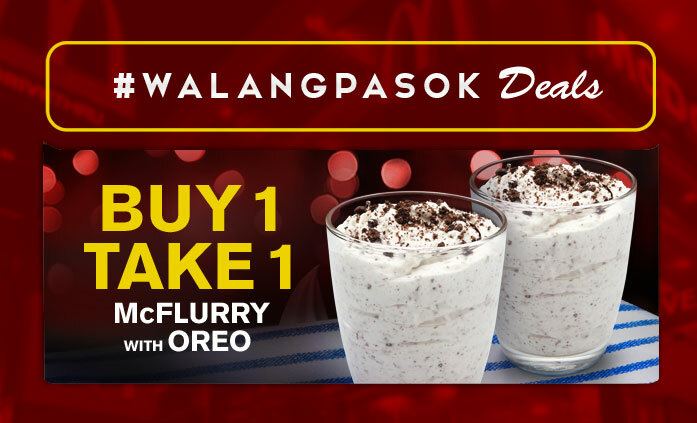 Get a FREE McFlurry with Oreo when you purchase (1) McFlurry with Oreo from any McDonald’s store nationwide on April 9, 2018. April 9, 2018 - promo is for one-day only. 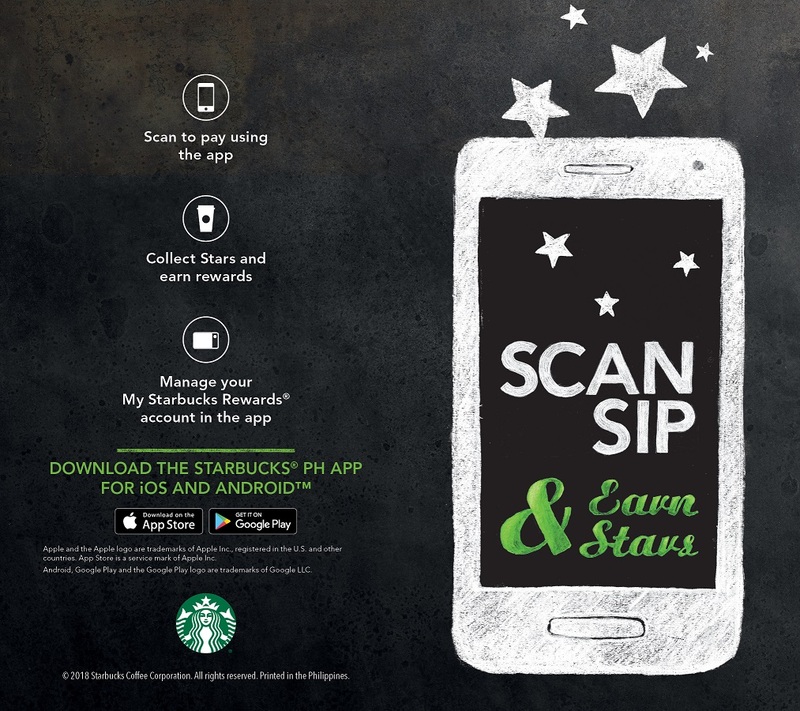 Starbucks Philippines just announced the expansion of the company’s industry-leading digital ecosystem with the launch of the Starbucks PH® App, a mobile app providing a fast and convenient payment method for customers at more than 300 stores across the market. The first coffee retailer to offer this innovation in the Philippines, the Starbucks® PH App integrates the popular Starbucks Card payment method and My Starbucks Rewards® on customers’ mobile devices. 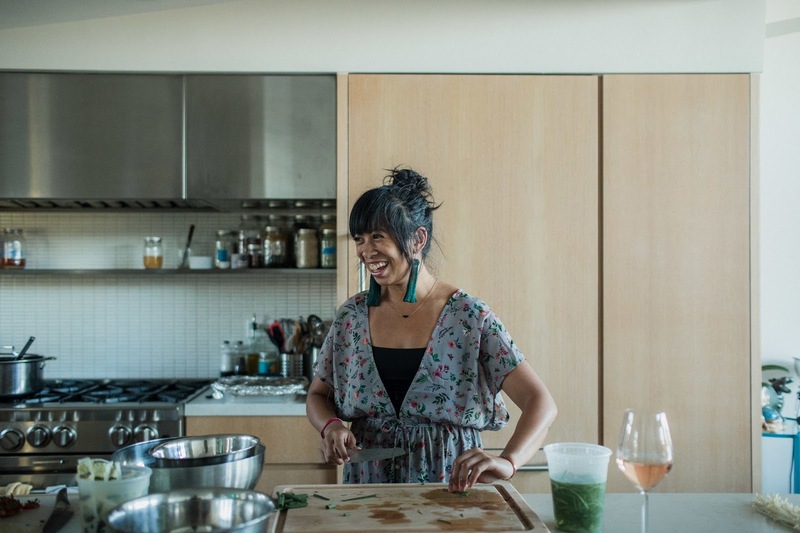 Driven by a desire to spread the flavors of the Philippines, Chef Yana Gilbuena established the SALO Series, kamayan-style dining pop-up dinners that has travelled the 50 states of America. 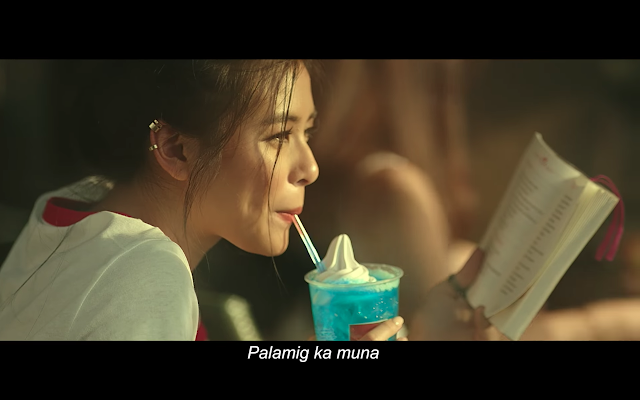 “Kamayan” is Filipino for dining with your bare hands, and Gilbuena’s goal is to serve delectable Filipino dishes to Filipino-Americans, Asians, and practically anyone else who eats. SALO is culled from the Filipino word “salu-salo,” which refers to a banquet where partakers are encouraged to eat with their bare hands food spread over banana leaves. For Chef Gilbuena, SALO is an “educational, humbling, and communal” experience. The Annual Chili's Burger Day is back! Grab our mouth-watering Big Mouth Burgers with single serve soda for only P200! See you on April 11! The Annual Chili's Burger Day needs no introduction, just get ready to fall in line, bring an empty stomach and bring all your friends to enjoy this annual event. What's the best way to fuel up a conversation? Do it over a great cup of coffee. 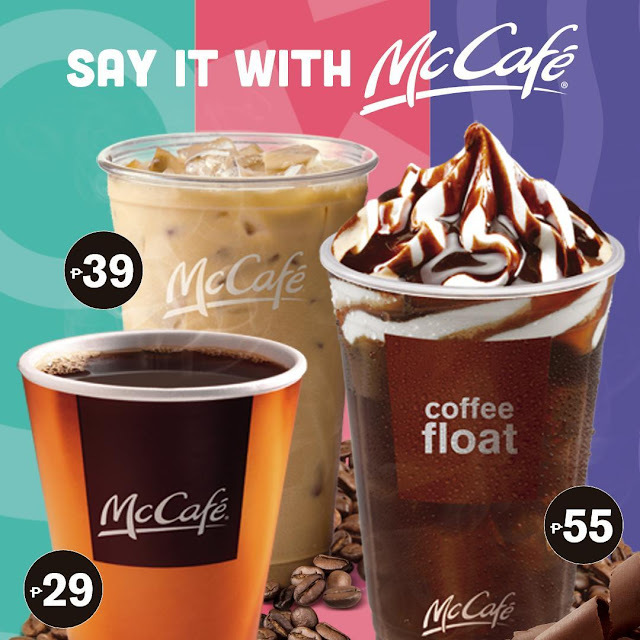 Whether you're catching up with your pals or into long chats, McCafé can make conversations more enjoyable with its perfectly balanced brews. Made from meticulously selected 100% Arabica beans, McCafé offers premium quality coffee goodness with deliciously balanced flavors and sold at an affordable price. These new brands join a roster of heavyweights in Eatigo’s fast-growing list -- Heat of Edsa Shangri-la, where International chefs prepare their signature Asian and continental specialties; Ramen Nagi, which has been hailed in Tokyo for their world-famous ramen; and, Mighty Quinn’s, New York’s award winning slow-cooked barbecue.